Monitor Ledge takes its name from an outcropping in the mountains overlooking the vineyard. 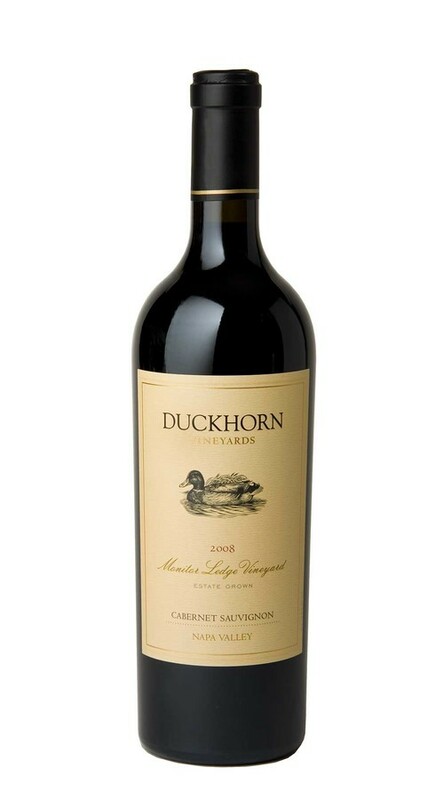 The fruit from Monitor Ledge has been an important component of Duckhorn Vineyards wine blends since 1985. Located on the alluvial fan of Selby Creek, the site is composed of cobblestones and a gravelly, sandy loam soil. Because water drains rapidly in the lean soil, the vines struggle to grow, and the resulting fruit has intensity and structure that make the wines from this vineyard unique. With excellent sun exposure, the fruit consistently ripens to ideal maturity. This vineyard is often the first we harvest, bringing us an early indication of the quality of the vintage to come. This wine displays all of the lush, concentrated red fruit character that has come to define Cabernet Sauvignon from Monitor Ledge. There is a beautiful balance between depth and brightness, with oak-inspired layers of caramel, chestnut and hazelnut complementing mouthwatering flavors of dark cherry, raspberry, red currant and strawberry. A smooth, creamy mid-palate leads to a finish of fruit and sweet spice that showcases the wine’s length and dimension.